David K. Klarén was born in New Bedford, Massachusetts, and raised in Pinedale, Wyoming. He was educated in Montana and Virginia. Although heavily influenced by the values, topography, and small town relationships of the American West, his artwork has never reflected traditional western genres but looks toward the contemporary American scene. 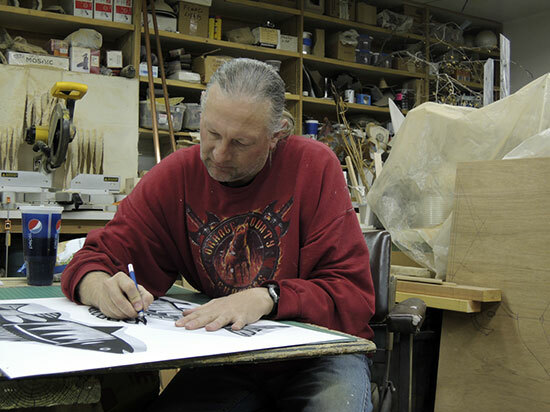 After living and working on the East Coast for several years, David returned to Pinedale, where he divides his time between his studio practice in drawing and sculpture, and commission work in fine woodworking and carpentry.